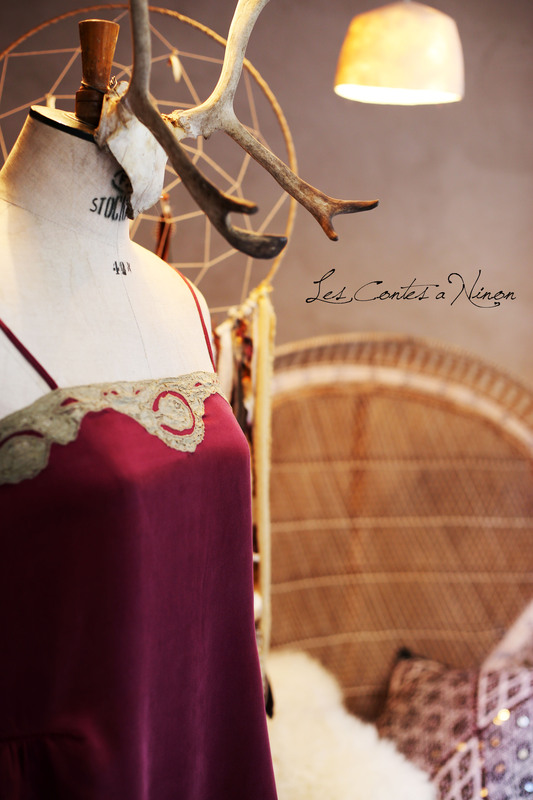 It’s in the nice rue des Soeurs noires, in the heart of the historical center of Montpellier that you will find the shop Les Contes à Ninon. This ethnic chic concept store has opened its doors in January 2015 in the neighborhood of Eglise Saint Roch, and the young Ninon just loves that area ! This place will make you travel in space and time, in America, in the Middle East and in India. Ninon has a thing for travels and photographs, she loves the stories. With her photography diploma in the pocket she decides to open a space specially dedicted to the accessories for women, men and also for the house. She proposes photographs exhibitions with her travel souvenirs. Her place, a sort of a revisited Ali Baba’s cave, is full of lovely things : I got a heart crush for the wonderful Berber carpets, the Indian clutches or luggages, the buffalo skulls, the dreamcatchers, the Albanese tableware and some splendid mirrors. And for the accessories side : I love her arms and cuff bracelets and the baby sleepers. Too sweet ! As for the clothes, the young globe trotter has selected some pieces from here and there ; Mes Demoiselles…. the trendy ethnic label just fell in love with her shop to show their folk and oh so feminine collections. More pics on her Instagram. Les Contes à Ninon is first of all a family story ; Ninon and her mother select the designers, they love to complete their selection by some items that they hunt all around the year or that they bring back from their travel. Their next destinations ? Turkey, Morocco and Bali. 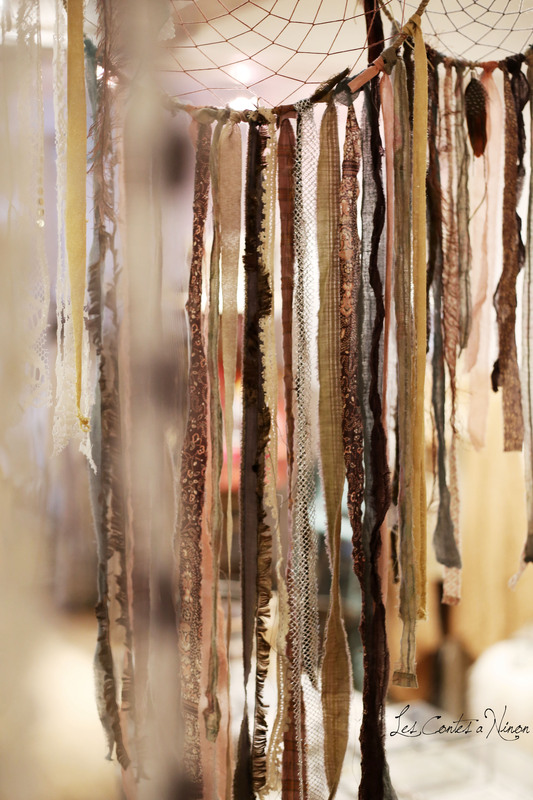 Ninon can help you decorate your house but also places like shops, restaurants or hotels. Do not hesitate to contact her ! 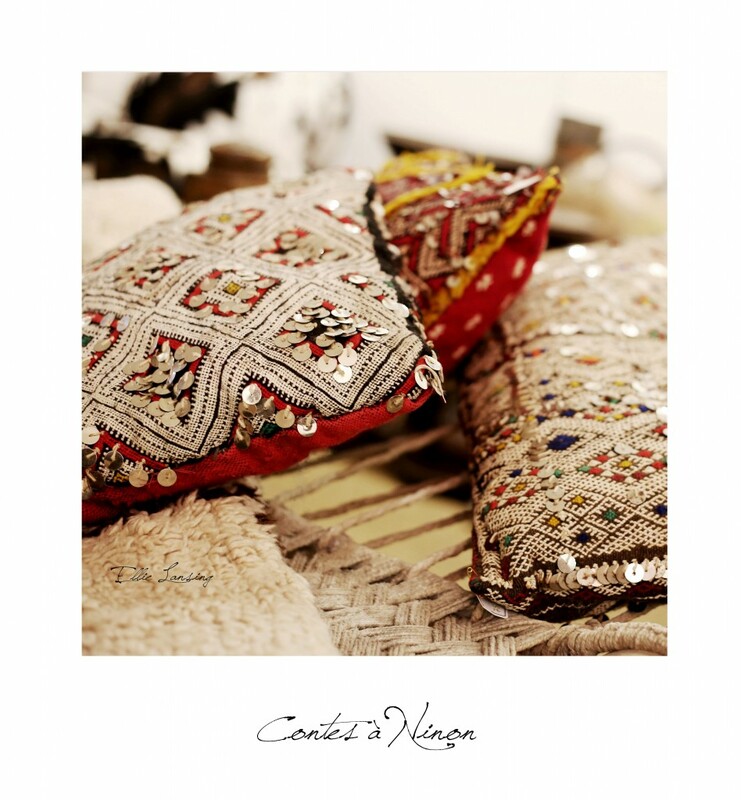 No doubt you will dive in happiness when entering into the half dreamlike half ethnic universe of her concept store !